Welcome back to the place that welcomes readers of all ages with an open mind and a never ending bookshelf....Satisfaction for Insatiable Readers. Now, you might be wondering why I chose today of all days to host a blog tour here on the site in lieu of a simple remembrance post. Good wonder, guys! (^_^) It's simple. I wanted to help create a new memory for this day, provide a distraction from the sadness, and simply bring a smile to your face. Now that you've been formerly introduced....don't you just want to pull up a chair at that table on the cover?! From the visible foodage to the breathtaking scenary, I'd say, that's one delightful spread I'd love to be a part of....and thanks to the collection of foody fun, you can! Pretty cool, right? Looks tasty too. Definitely gonna have to check that one out. Now, I know what you might be thinking, this is a book blog, not a cooking blog, what gives? Ah, but I told you there was something special about this particular cookbook now didn't I? The fun doesn't end once you enter the kitchen to create one of these masterpieces of your own. No sir-ree-bob. 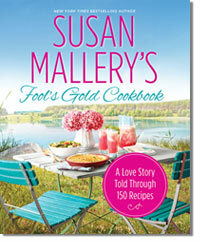 There is additional treasure to enjoy while perusing the pages and marking your favorite recipes....an actual story. *gasp* Yes, you read that right....there's a special novella type story told throughout the book that actually features the cookbook in it as well, in a cool little twist. We learn the story behind Ana's food truck business and her constant battle to be number one since grade school when a particular little boy snagged the spotlight and just wouldn't give it back. That little boy's name....Greg, but trust me, he's not such a little boy anymore, and he's definitely not what Ana had in mind when considering a partnership in any fashion. Oh but you know how life and love can be; the ways of the heart are a mystery to the most watchful of us. *sigh* We don't get too involved (again due to the length) but we are placed within their world just enough to see how the dots connect to make the final picture presented. Do they get together? Do they battle it out in the kitchen arena and bid each other adieu? You'll have to read it to find out...and when you do, you'll totally have to share your thoughts on the potential romance AND tell me what recipe you chose to create first! Review copy received courtesy of Amy (Publicist extraordinaire), affiliated with McAllister PR, and Harlequin! (THANKS!) For more information on this title as well as their full catalog, be sure to visit them online. To discover more about the author behind the work as well as catch up on all there is to know in the Fool's Gold world, stop by the author's site, visit the official Fool's Gold site, like her on Facebook or follow along on Twitter. Recommended read for teens through adults...readers AND chefs alike. ALSO...for those interested in picking up a copy of this fab book pronto, the author has a $2.00 off coupon on her site good through October 4th! Even if you miss the discount though, it's still TOTALLY worth it. 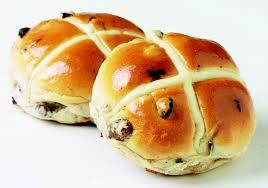 National Hot Cross Bun Day? Now, that's a new one. A disaster in the kitchen as you might know, Susan's book could be just the thing I'm looking for to improve my almost none existent culinary skills. 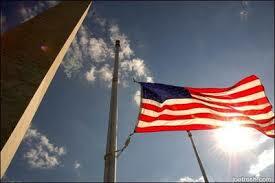 Thanks for the 9/11 remembrance. What a great post. I remember. What a cozy, fun book. Would love to read this. Cannot wait to get a copy. READ ALL ABOUT IT: Hand-Picked Words + GIVEAWAY! Taste Testing Tuesdays. ..SPECIAL EDITION! The Insatiable Reader ...in the kitchen!